Marvel Animated Statues Unboxing! Featuring Groot & Rocket Raccoon and the Legendary Star-Lord! A Diamond Select Toys release! you're welcome! 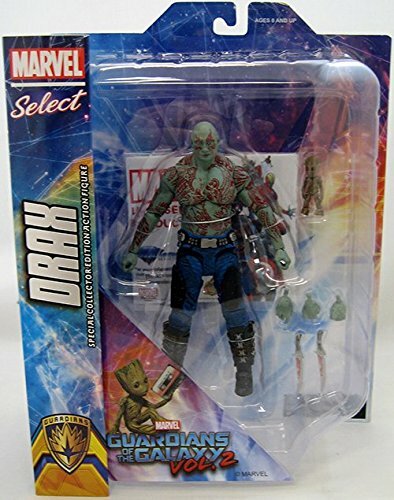 the Guardians of the galaxy have been one of the most requested additions to the Marvel select action figure line of the past few years, and now DST is happy to announce a new series of movie-based figures! Star-Lord and Drax the destroyer are both based on their appearances from Guardians of the galaxy Vol. 2, and each measures approximately 7 inches tall and includes a diorama base. 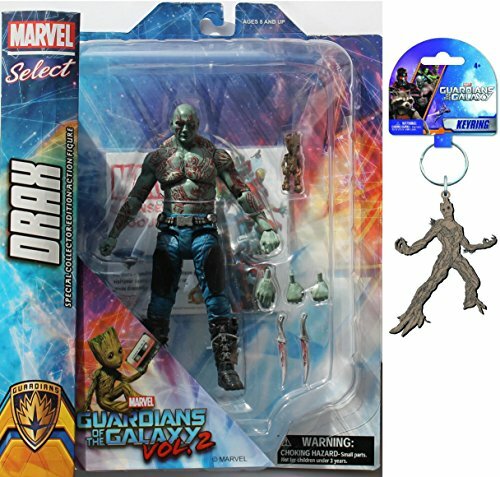 PLUS, Star-Lord comes with rocket, and Drax comes with a baby-sized figure of Groot! sculpted by gentle giant Studios!. A Gentle Giant Release! The Flora Colossus, Groot, and his best friend, the genetic and cybernetically enhanced Rocket, are inseparable. After being captured by the Nova Corps, these bounty hunters escaped imprisonment from the Kyln with the help of Drax, Gamora, and Peter Quill. 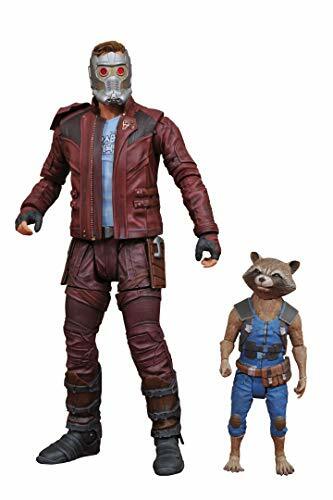 Teaming up as the Guardians of the Galaxy, Rocket and Groot proved to be an integral part of the team that worked together to stop Ronan. 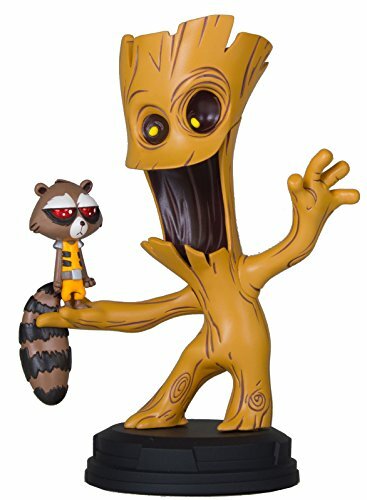 Groot's size gives Rocket the perfect elevated position to fire at his enemies with any one of his many weapons. Rocket's technical and mechanical abilities are second only to Groot's kindness. But do not mistake Groot's gentle nature, as he is just as ferocious as Rocket when defending his fellow Guardians! 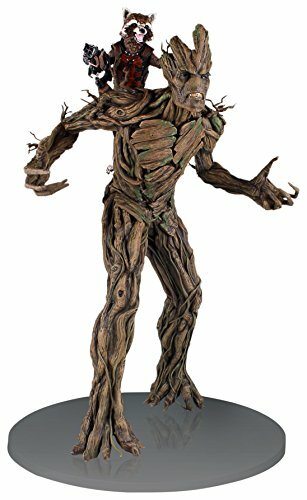 This statue, based on the hit film, is sculpted at 1/4-scale. 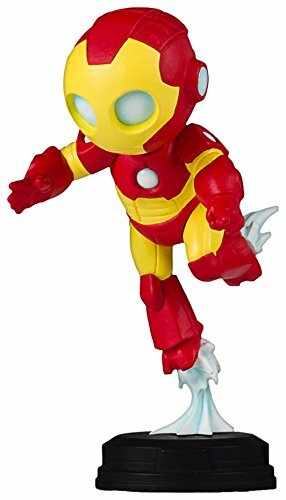 Marvel Comics Iron Man Animated Statue, Full Color, 8 x 2 x 2.5"
"Blasting off to adventure, this adorable iron man is the next statue in gentle giant Ltd animated styled Marvel statues! this iron man collectible was digitally sculpted, and then printed out on state of the art 3D systems printers. The 3D prints were then used to create the prototypes needed to produce this fun-filled statue of iron man! the animated design of this iron Avenger is inspired by artwork found in the pages and covers of Marvel Comics". A Diamond Select Toys release! you're welcome! 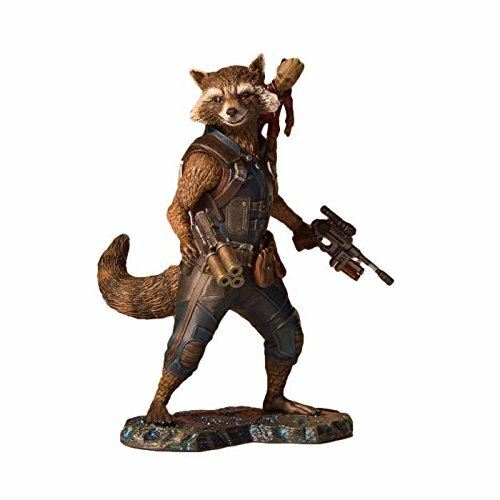 the Guardians of the galaxy have been one of the most requested additions to the Marvel select action figure line of the past few years, and now DST is happy to announce a new series of movie-based figures! Star-Lord and Drax the destroyer are both based on their appearances from Guardians of the galaxy Vol. 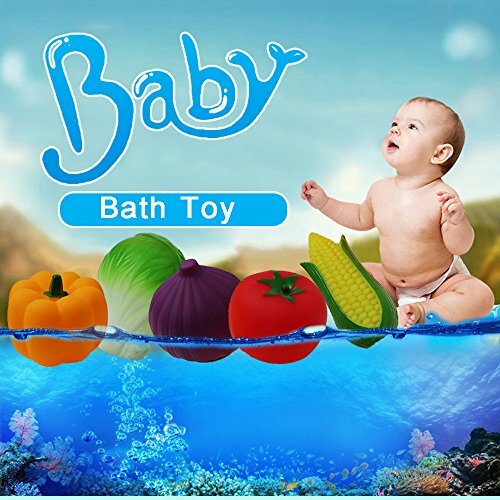 2, and each measures approximately 7 inches tall and includes a bonus figure. 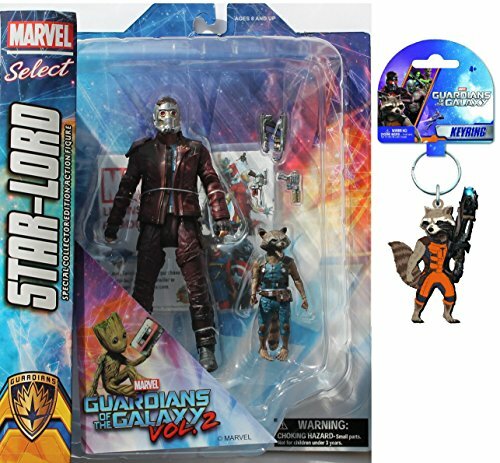 *** Also includes Bonus Rocket Raccoon Soft Touch PVC Keychain *** Collect the entire line of Diamond Select Marvel Select Action Figures: Juggernaut, Colossus, Cyclops, Gambit, Deadpool, Lady Deadpool, Storm, Cable, Winter Soldier, Captain America, Black Widow, Hulk, Iron Man, Black Cat, Doctor Strange, Venom, Carnage, Abomination, Antman, Gladiator Hulk, Thor, Daredevil and many more. Also, check out Guardians of the Galaxy Marvel & Funko Pops! Guardians of the Galaxy Toddler Groot, Dancing Groot, Rocket Raccoon, Drax, Star Lord, Gamora, Yondu, Mantis, Nebula, EGO, Ronan, The Collector, Taserface and Thanos! 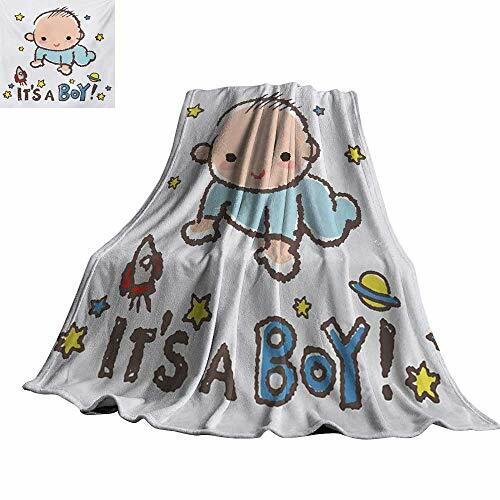 Gender Reveal,Throw Blankets Little Baby Boy Smiling with Stars Rocket Space Kids Artistic Cartoon Style All Season Blanket 80"x60"